Mobiletraffic.de - Affiliate CPA network reviews and details. 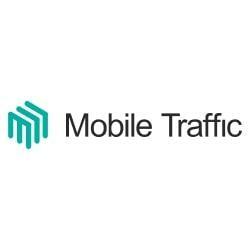 Mobiletraffic.de is a full service mobile performance agency and our mission is to help both advertisers and publishers save their time wasted searching best offers and best traffic sources. We have combined all the advantages altogether in one friendly and easy to use full-stack platform. Take publishing to the next level with MobileTraffic! Competitive and timely payments, great list of advertisers from different countries and different projects, wide reporting and many other benefits! Mobile Traffic takes publishers to the new level! I have worked with other networks and I know how hard it is to get someone on the phone. My MobileTraffic`s manager is always available and gives me good tips whenever I ask him for help! I am generally pleased with the result of working with them. Just the positive impression. Good offers and professional support. Love all their exclusivity. My first review here and only about MobileTraffic. Thank you for being such a good team! MobileTraffic is one of the coolest CPA networks. Since I started to work with them, I've increased my revenues by more than two times! They've got great variety of offers, easy-to-use intuitive platform and timely payments.